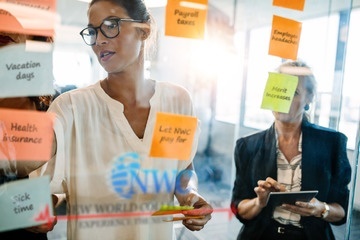 New World Collections Billing Reps is a full-service revenue cycle management (RCM) supplier providing an extremely talented and motivated labor force who handles all your healthcare related front and back office tasks. With years of experience specializing in the healthcare industry, we deliver a world class solution to make your business run more efficiently and without the hassles of managing employees. Increase productivity by over 70%! Work with your remote employees directly using all your current systems and platforms. Reduce your office overhead by 60%! Eliminate payroll taxes, worker’s comp, benefits and the dreaded hiring process. Our dedicated reps are available to you at any time via phone, messenger, email, or webinar. Train, Coach and Mentor your team as if they were in your office. No waiting to speak with your team! No. We are very confident in what we provide our clients and are very flexible with our terms. We do offer pricing discounts when our clients do commit to longer terms and larger teams.